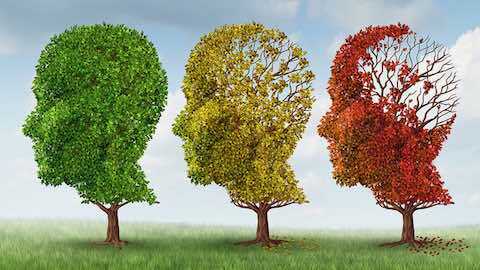 Older adults with poorly controlled diabetes may struggle with what's known as episodic memory, the ability to recall specific events experienced recently or long ago, a study suggests. Researchers examined results from a series of four memory tests done from 2006 to 2012 for 950 older adults with diabetes and 3,469 elderly people without the disease. The participants who had diabetes and elevated blood sugar performed worse on the first round of memory tests at the start of the study and also experienced a bigger decline in memory function by the end of the study. "We believe that the combination of diabetes and high blood sugar increases the chances of a number of health problems," said lead study author Colleen Pappas, an Aging researcher at the University of South Florida in Tampa. "Our study brings attention to the possibility that worsening memory may be one of them," Pappas added by email. While the study doesn't explore why this might happen, it's possible that elevated blood sugar damages brain cells that transmit messages in the hippocampus, a part of the brain involved in memory, Pappas said. At the start of the study, when participants were about 73 years old on average, they all got blood tests that measure average blood sugar levels. This so-called hemoglobin A1c test measures the percentage of hemoglobin -- the protein in red blood cells that carries oxygen -- that is coated with sugar, with readings of 6.5 percent or above signaling diabetes. The people without diabetes had average A1c levels of 5.6, considered a normal or healthy range. But the diabetics had average A1c levels of 6.7, putting them at increased risk of complications from the disease. Researchers also did memory tests using immediate and delayed word recall to assess changes in brain function over time. Higher A1c levels were associated with lower scores on that first memory test and a steeper decline in scores over time, researchers report in the Journal of Epidemiology and Community Health. Higher A1c levels in the people with diabetes, however, explained most of that association. One limitation of the study is that researchers only checked A1c once, at the start of the study, the authors note. That makes it hard to say how shifts in blood sugar over time might have influenced any changes in memory. Researchers also lacked data on medications people took to control blood sugar, which makes it difficult to assess whether memory lapses might be averted in patients who took medications designed to manage diabetes, the authors also point out. Even so, the findings suggest that keeping blood sugar levels in a healthy range may help maintain memory performance over time, said Dr. Joe Verghese, director of the Montefiore-Einstein Center for the Aging Brain in New York. "Patients with diabetes can experience several brain changes that develop over time such as shrinkage of areas involved in memory and thinking as well as damage to blood vessels supplying the brain," Verghese, who wasn't involved in the study, said by email. "Higher blood sugar levels may be detrimental for brain health even in older adults who do not meet formal criteria for diabetes but are in the gray zone." People with diabetes also need to be aware that even if their blood sugar is well controlled, they're still at increased risk for memory problems and impairments in cognitive function, said Mark Espeland, a researcher at Wake Forest School of Medicine in Winston-Salem, North Carolina. The best defense is avoiding diabetes in the first place, Espeland, who wasn't involved in the study, said by email. "Taking steps to reduce one's risk for diabetes is important to maintaining a healthy brain," Espeland said. "These steps include an active lifestyle and avoiding obesity." "Diabetes Linked to Memory Decline in Older Adults"